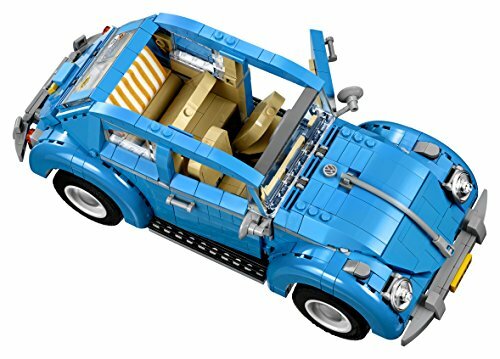 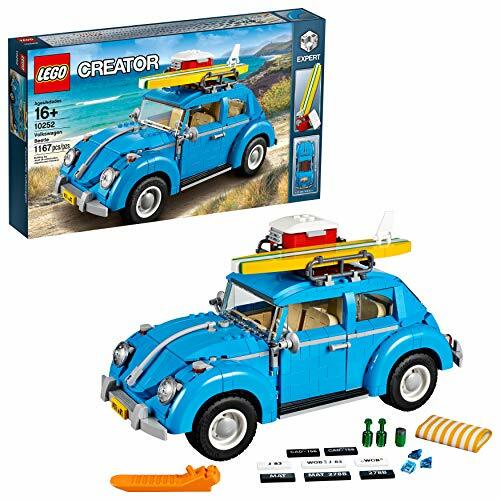 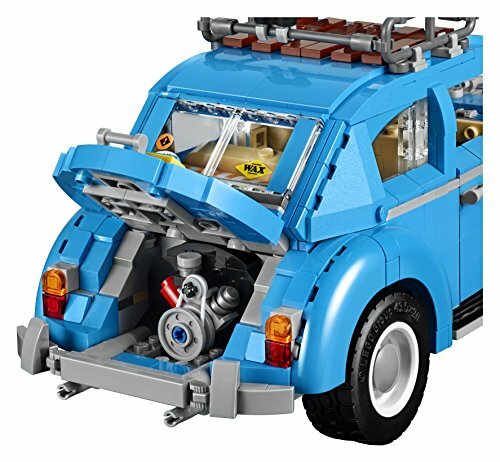 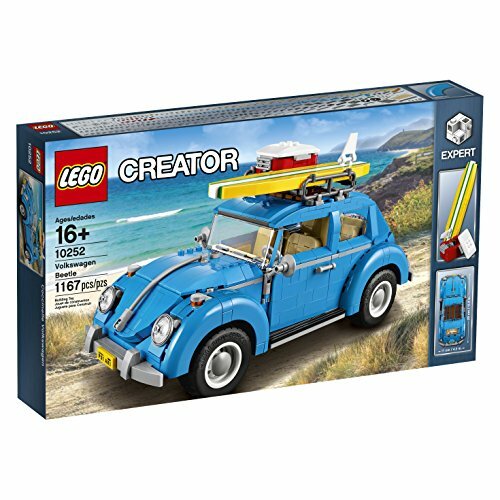 Celebrate the iconic VW Beetle with this awesome LEGO® Creator Expert reproduction. 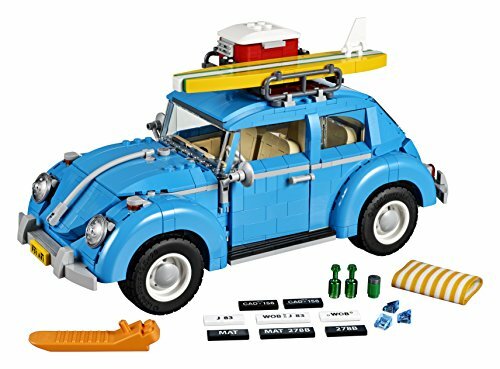 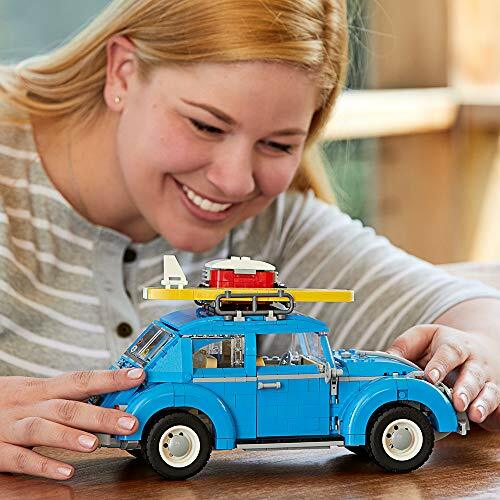 This detailed model comprises a number of special features and elements that help recreate the distinctive Beetle characteristics, including an azure-blue color scheme, curved fenders, flat windshield, VW logo, and an authentic 4-cylinder air-cooled engine and fuel tank. 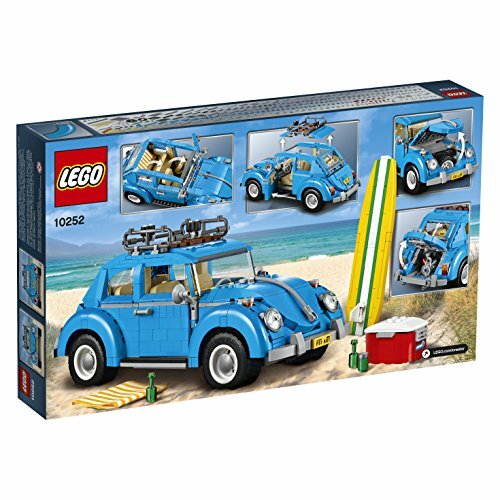 The accessible interior features beige-colored, forward-tilting seats, dashboard and steering wheel, and the roof-mounted surfboard and a cooler box can be removed. 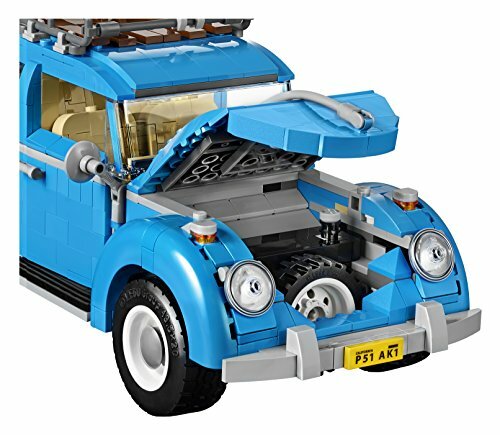 This car construction set has been designed to provide a challenging and rewarding building experience with a touch of nostalgia.Build the world’s most popular car, packed with authentic 1960’s details!